With warmer weather finally here, and mother earth opening to colorful flowers and Spring plants, ideas for Spring and summer planting come to mind. While some have a green thumb, and everything they touch come to live, others do not and prefer low maintenance ideas for adorning porches, verandas, and homes. Many busy professionals also need plants that don’t need watered every day, won’t dry and weather in the sunlight, or are in containers that provide ample moisture. For those seeking low maintenance options, who prefer plants that grow in moisture-rich environments, while being unique, quaint and stylish, hanging terrariums are an excellent choice. Not only do plants thrive, but the container environment provides low maintenance and plants won’t need to be watered every day. They typically include a variety of plants, and versatile containers include hearts, globes, bubbles, tears, pears, apples, crosswinds, bulbs, and balls. They can also be used on porches, in gardens, and indoors. They complement almost any environment and are an extremely easy way to grow plants. Not only do they offer a low maintenance way to grow plants, but they also allow for individual style and personality to shine. A variety of plants and decorative garden objects can be used in addition to the terrariums. For instance, such containers go perfectly with small hanging bird baths, feeders, or decorative chimes. They also compliment other hanging porch plants, and also are a unique addition to hang on metal garden fairies, or to hang from garden verandas, arches, arbors and entryways. Themed outdoor living spaces, such as those with an oriental slant, using lilies, cactus, and a variety of succulent plants would also be complemented by using variously sized terrariums in the overall design scheme. Terrariums can be designed to go with almost any outdoor theme, including on summer tables, to add unique style and color. The type of container chosen may also serve as a point of conversation, such as triangle terrariums or gold framed, drop or cube shaped. Apple and pear-shaped containers also compliment summer themes, already using apple or pear decorations. This type of container allows for a wide array of plants to be selected. Succulents are very popular, but so are a variety of others. No matter what the plant is chosen, it’s best to understand the plant and ensure it’s a humidity thriving, full sun plant. It’s also advisable to know how large the plant will grow, and how the plant grows. Make sure the container is large enough for it to grow throughout the season. 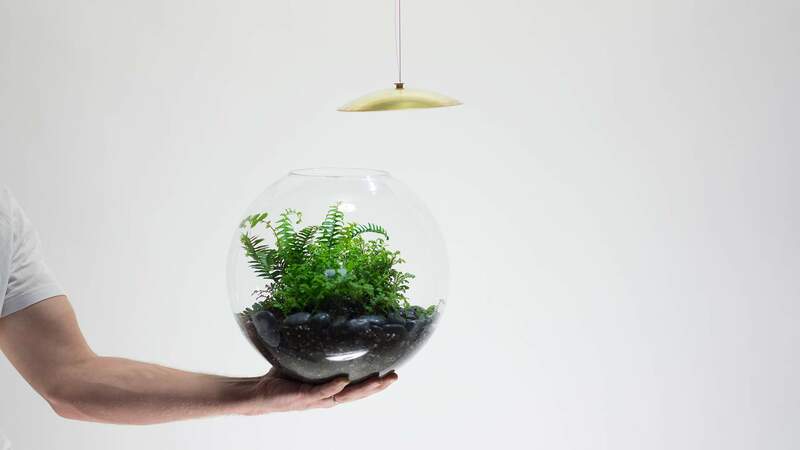 Also, plants that prefer space may not always grow best in terrariums. Some plants also prefer drier environments. Strawberry Begonia, African violets, and spiderwort are a few that grow exceptionally well in warm, container environments. Terrariums are generally made of glass, so observing how plants grow is easy. After planting, personalize the terrarium with rocks, shells, or other meaningful objects, and watch as the dirt landscape transforms to green life and beauty.